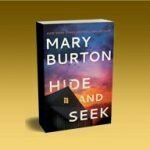 Enjoy Mary Burton’s story, The Summit. Inspired in part by the background she created for the character Alex in her Morgan Family novels, it shares insights into how a moment in the past can have a major impact, causing a man to step back and become detached from those around him. –Linda Conrad, bestselling author for Harlequin-Silhouette Books and winner of the National Readers Choice Award, the Romantic Times Reviewers Choice Awards and the Maggie Award of Excellence. –Chris Coward, President, Florida Writers Association, Winner, 1st Place, Unpublished Science Fiction, FWA Royal Palm Literary Award competition for Stone Perfect.